In early 1911 Kate Frye took up her position as a paid organizer for the New Constitutional Society for Women’s Suffrage. The Society had been founded in January 1910 to take a position between that held by the militant Women’s Social and Political Union and the ‘constitutional’ National Union of Women’s Suffrage Societies. Although its members did not want to break the law themselves, the NCS did not condemn WSPU tactics and supported its policy of campaigning against government (Liberal) candidates at elections, thinking the NUWSS had become too ineffectual. Holborn/Strand area or in Victoria/Westminster, the NCS took up residence in Knightsbridge. They rented an office in Park Mansions Arcade which ran through a relatively newly-built block of mansion flats between Knightsbridge and Brompton Road. 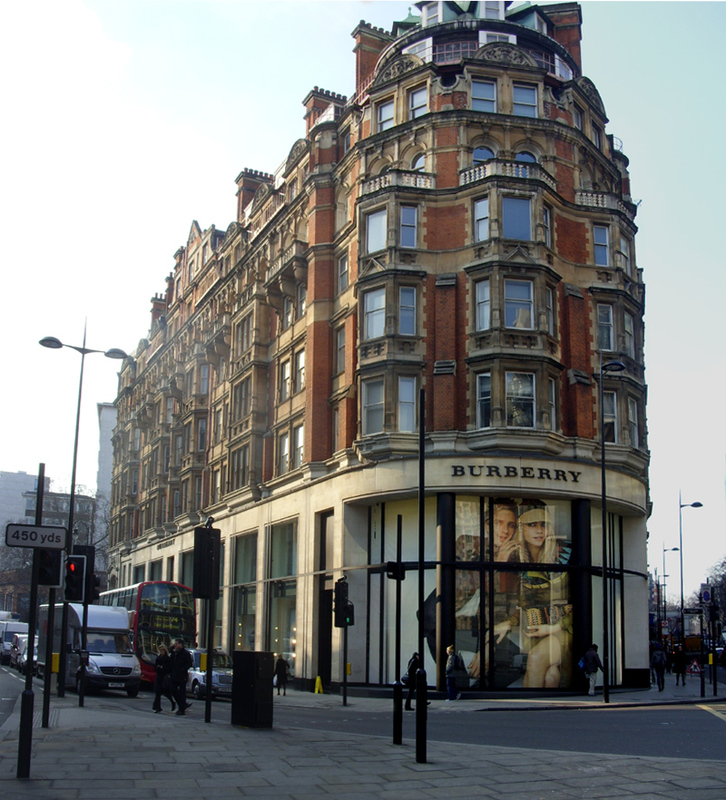 The shop area at street level is now occupied by a major Burberry store, into which the Arcade has, at some time in the past, been incorporated. The Arcade part now houses a recently created Burberry Menswear department. To see today’s glamorous reality and to imagine Kate and her co-workers at the NCS walking through this space – full of thoughts of converting the women – and men – of Britain to the Cause – click here. Knightsbridge was an area that would have appealed to members of the NCS, many of whom lived in Kensington and Paddington. Many of these women had belonged to the London Society for Women’s Suffrage (NUWSS), but had become disenchanted with what appeared to be lack of progress, although were not quite prepared to go so far as to join the militants. 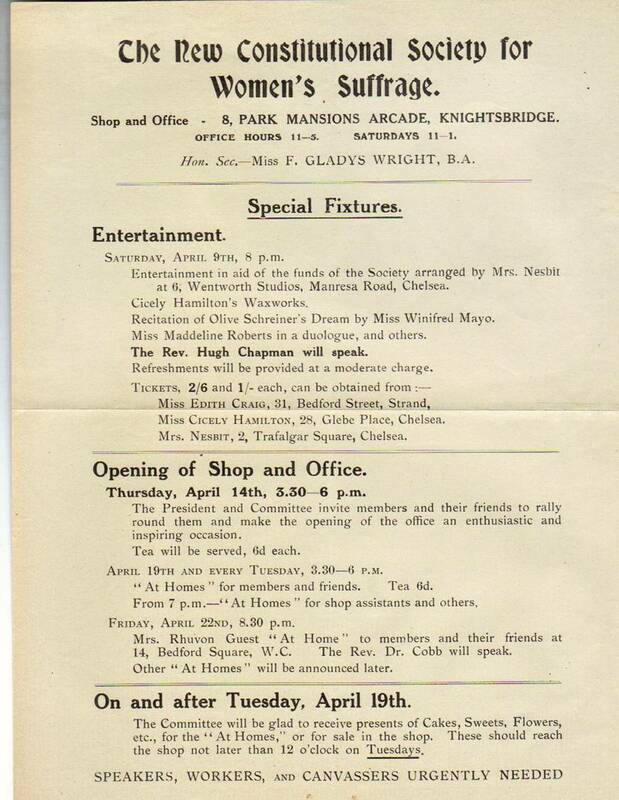 However, you can see from the entertainments offered at the opening of the Park Mansions Arcade Office, that members of the WSPU and the Actresses’ Franchise League lent their support. 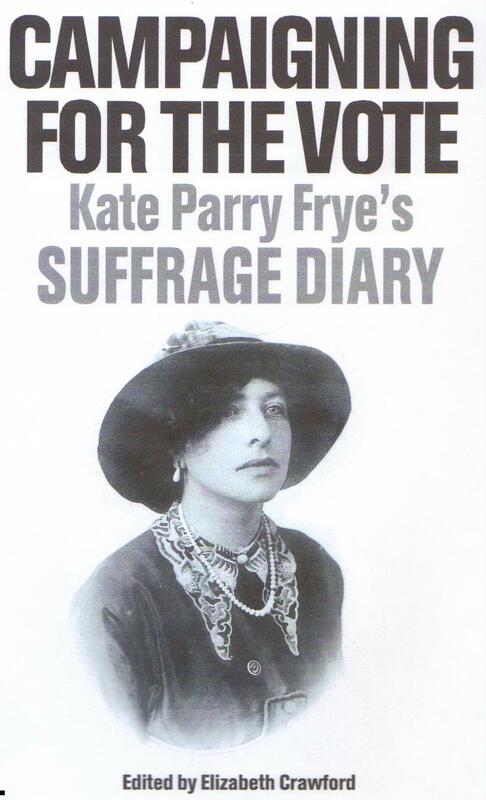 This entry was posted on April 29, 2013, 8:18 am and is filed under Kate Frye's suffrage diary. You can follow any responses to this entry through RSS 2.0. You can leave a response, or trackback from your own site.